Emigre, Inc. is a digital type foundry based in Berkeley, California. Founded in 1984, Emigre was there, in the eye of the storm, when the Macintosh computer was first introduced. As part of a small group of believers, Emigre used the restrictions of low resolution output to create inventive new typeface designs and layouts. This earned them recognition early on as innovators in the field of graphic design. From 1984 until 2005 Emigre published the infamous Emigre magazine, a quarterly publication devoted to visual communication. Emigre created some of the very first digital layouts and typeface designs. The exposure of these typefaces in Emigre magazine eventually lead to the creation of Emigre Fonts, one of the first independent type foundries utilizing personal computer technology. 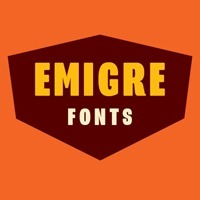 Today, the Emigre Fonts Library consist of over 600 digital typeface designs licensed from designers around the world. Emigre has been honored with numerous awards including the 1994 Chrysler Award for Innovation in Design, and the 1998 Charles Nypels Award for excellence in the field of typography. Emigre is also a recipient of the 1997 American Institute of Graphic Arts Gold Medal Award, its highest honors. In October 2010 the Emigre team was inducted as Honorary members of the Society of Typographic Arts, Chicago, and in 2013 Zuzana Licko received the prestigious Annual Typography Award from the Society of Typographic Aficionados. In 2011, five digital typefaces from the Emigre Type Library were acquired by MoMA New York for their design and architecture collection. Emigre was founded by Zuzana Licko and Rudy VanderLans. 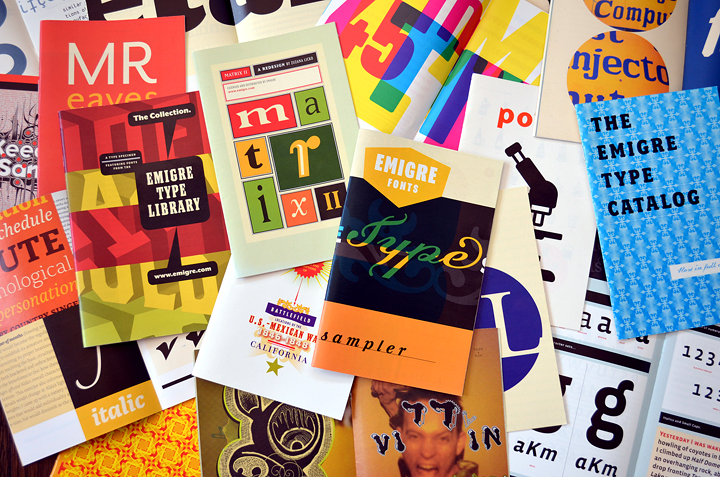 The Emigre type library features designs by the following designers: Mark Andresen, Bob Aufuldish, Jonathan Barnbrook, David Cabianca, Rodrigo Cavazos, Barry Deck, Eric Donelan, John Downer, Elliott Peter Earls, Edward Fella, Sibylle Hagmann, Berton Hasebe, Frank Heine, John Hersey, Jeffery Keedy, Zuzana Licko, P. Scott Makela, Conor Mangat, Nancy Mazzei, Brian Kelly, Miles Newlyn, Claudio Piccinini, Christian Schwartz and Rudy VanderLans. The Atlantic: Can the Rule-Breaking Font Designers of Three Decades Ago Still Break Rules?